Supporting independent film is one of the only ways we can help to keep the film industry alive with real movies and not Hollywood drivel. 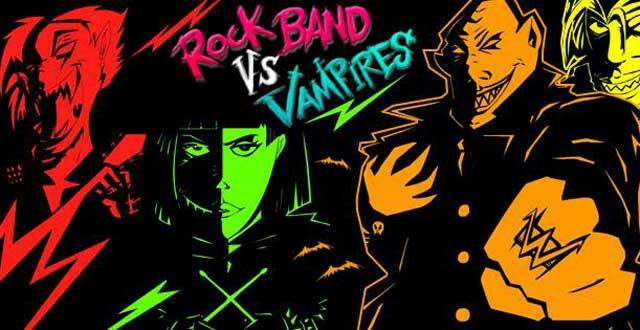 This week, WNOL went along to the set of upcoming comedy-horror film ‘Rock Band Vs Vampires’. Jeremiah Winterford is a vampire out of touch with the modern world and when his manor home is torched to the ground, he must indulge in the new world. Relocating to a music venue in London’s infamous Camden; Winterford and his vampire family must adapt to their new surroundings. The opening night of the vampiric venue hosted by unsuccessful prog-rock band, Sorcerers Tower, begins to descend into a night of blood and chaos as the rock band must fight against the blood-thirsty vampires to save themselves and their unsuspecting fans. Rock band members William May (Malcolm Galloway), Pixie Coldwell (Loren Peta) and Dan Coldwell (Jake Rundle) will go up against the hungry vampires: Jeremiah Winterford (Guy Barnes), Anna Winterford (Faye Sewell), Angelica Black (Dani Thompson) and many others. The extensive range of vampires and humans means there will plenty of gore and action. We were lucky enough to get an exclusive behind the scenes view of ‘Rock Band Vs Vampires’ during the filming of a scene that included the film’s main song written by Galloway and ‘ninja strippers’. We also got the chance to interview Faye Sewell who plays nasty but nice vampire named Anna, Dita Tantang who plays vicious vampire Tara and director Malcolm Galloway. For a sneak-peak at all the goodies that are yet to come, watch the video below. This hilariously dark film is set to be released in the summer of 2014. If our behind the scenes footage left you anxiously anticipating, then check out the official trailer for even more. Don’t forget to keep your eyes peeled next year and support independent film by watching and buying ‘Rock Band Vs Vampires’. You can also contribute to their campaign to help fund production.